“This is the best birthday party I have ever been to!” This sentiment was heard several times from the children at McKenna’s birthday party earlier this month. That is always a feeling you are going for when you have a birthday party for your child. You want the children to all have fun. But that isn’t all you want. You also want to end the day with your sanity in tact. That was just what I was aiming for and it is just what I got. 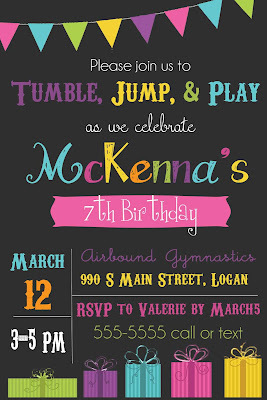 It was a year for McKenna to have a friend birthday party (we don’t do friend parties every year). This year, her birthday fell during spring break. A party over spring break is always risky business because a lot of people go out of town for spring break. Just before her birthday, however, was the weekend of our big musical production–the one three of my children were in and I was directing. That meant her birthday party needed to be pretty early. That also meant that her birthday party needed to be during a very crazy time–the last couple of weeks before opening night of the show. I knew my time and sanity would be stretched thin. In a world of Pinterest parties, it seems like a lame way to go. Sanity, however, is worth “lame,” so I looked to other options. There are many places out there that provide birthday parties for children. They provide the location and entertainment. Some even provide more than that like cake and ice cream. Bowling, swimming, jump parks, gyms, roller skating…most places that have indoor entertainment do birthday parties. 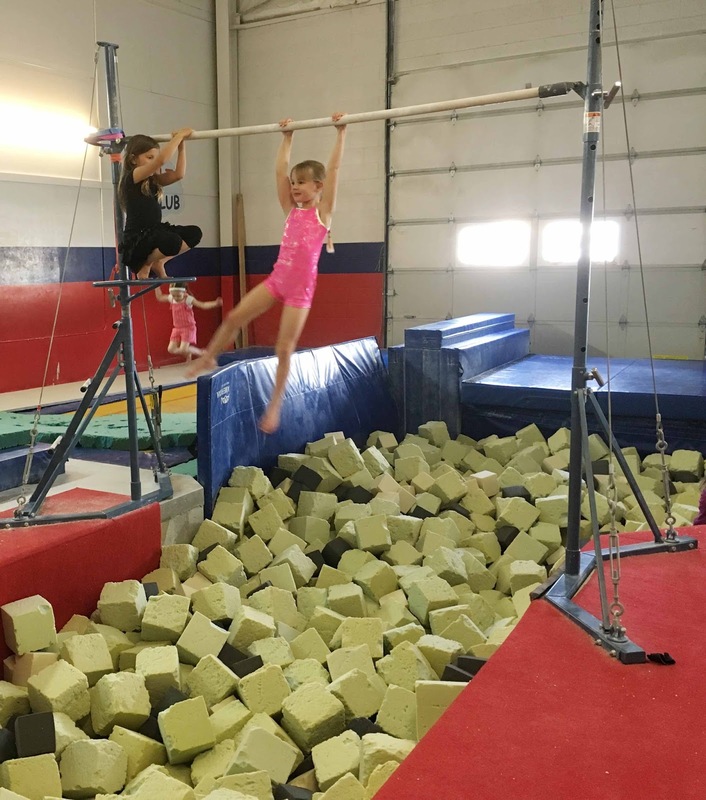 In the end, I checked with the gym where McKenna takes gymnastics. They didn’t advertise birthday party options, but I though I would ask. They do parties! 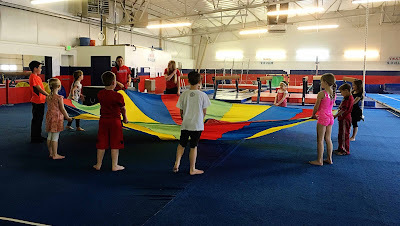 We were able to rent out the entire gym for two hours with two coaches to run the party for not much more than I normally spend on a party once you add up things to do activities, decorations, and party favors. And the kids LOVED the party. They said it was the best party they had ever been to. They were also all thoroughly exhausted by the end, which is fantastic on what ended up being a cold, rainy day. I also loved the party. I didn’t have to clean my house before. Do you know what my husband and I did in the hours before the party? We trimmed our fruit trees! No party prep. Just tree trimming. I didn’t have to clean my house afterward, either. Start planning a couple of months before the party date you hope to have. I started looking up things and making phone calls mid-January. Places often have limited times when parties can be done, so you don’t want to make inquiries too late and have places all full. One place I tried to get information from was painfully slow in returning my calls. It would take days in between me leaving a message and them getting back to me (I ended up NOT doing the party there). You just want plenty of time so it isn’t super stressful. Think of things your child love to do and look at places that have those for options. 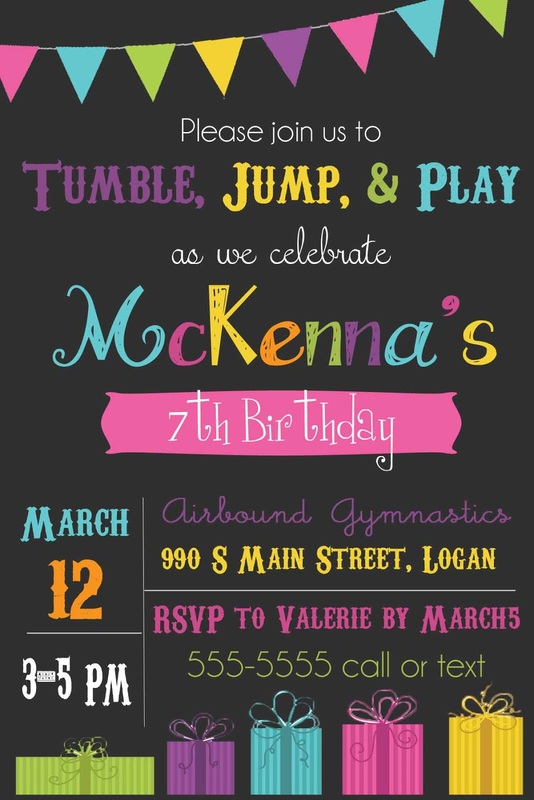 McKenna loves gymnastics and loves swimming, so those were my top two options. Most children her age are not super swimmers, however, and the options for indoor pools in our area are ALL workout pools–meaning no slides, no playgrounds, and nothing that you wade into. They are also pretty cold. Nate and I decided we didn’t want to have to worry about a bunch of 6 and 7 year olds in a pool. Every place I looked into charged a set amount for a certain number of children and then charged a certain amount more for each extra child. Be sure to ask about that. Ask about decorations, food, and paperware. You want to know what you can bring in and what they will provide. You will want space to do cake/ice cream and presents. When you are a at a fun place like this, most kids don’t want to spend much time eating. We usually plan for 30 minutes for those two activities and we are usually rushing to fit it in to 30 minutes. At this party, however, the kids were long ready by 20 minutes to get back to the fun. When sending out invitations, ask for an RSVP by date. I always ask for an RSVP, and I usually get about half respond. For this, however, people responded and responded promptly. I asked for an RSVP a week before the party. I sent invitation out two weeks before the party. I typically do one week before, but I did two weeks with this party. Nate and I loved this party and commented that we have found our new favorite way to do a birthday party. I would highly recommend looking into what is available around you when you have your next birthday party!